With Street Outlaws concluding on Monday, March 2nd, 2015 the Discovery Channel had to fill the Motor Monday 9:00 slot right before Fat N Furious. What better way to do it than with the hit TV show Fast N Loud? Yes, you read that correctly, Fast N Loud will come on right before Fat N Furious. Tommy Christmas from Fat N Furious has nothing on Richard Rawlings of Fast N Loud. Monday, March 23rd, 2015 will be the first time the two air back to back during this current season. The Discovery Channel has been pushing Motor Mondays on Twitter quite hard recently. Now, I am seeing more and more Instagram photos with cars from both of the shows. It will be interesting to see how the Discovery Channel and the stars of the two “Motor Monday” TV shows use the popular social networks to grow their audience over time. The hit TV show Gold Rush has the largest audience for the Discovery Channel and they hope a social media and marketing push can get other shows close to that rating and viewership number. Richard and Aaron are the stars of the show and the monkeys at Gas Monkey Garage. Aaron works under Richard who oversees most of what goes on when it comes to finances. Basically, Richard goes out and looks for cars that he can restore and make money off of. Aaron is the master mechanic that tells Richard if the older model cars are worth the investment. During the show Fast N Loud Richard and Aaron will drive around the country towns of Texas looking for the best deals and greatest opportunities. If you grew up in a small town and you enjoy fixing up cars this is just the show for you. How Much Does Richard Rawlings Make? A lot. Richard built a printing and advertising company from scratch and sold it so he could live out his passion of owning his own hot rod shop. The photo below shows Richard and Andy at a car show. 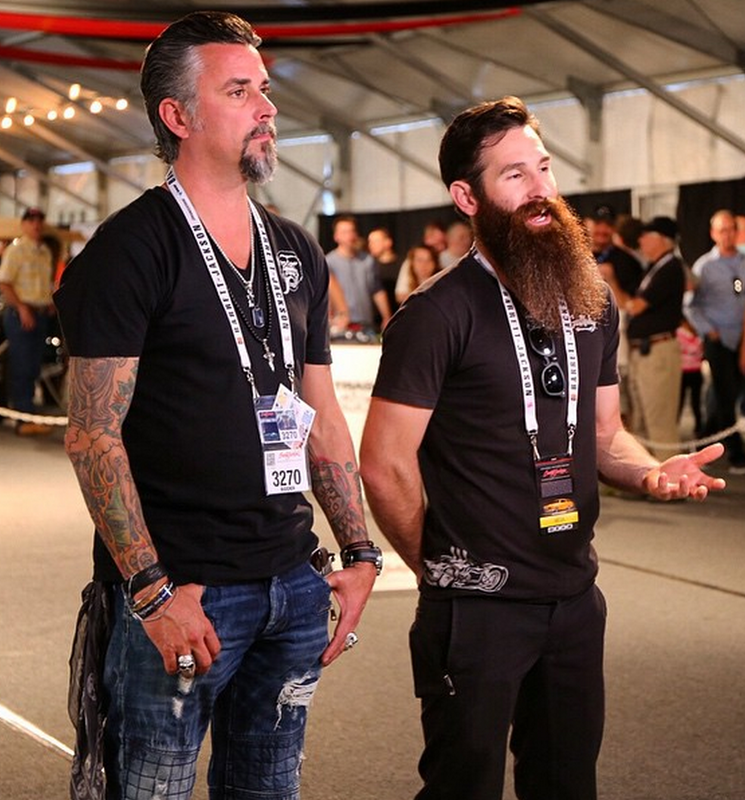 You can look at the watch on Richard Rawlings’ wrist and immediately know that he has money. He also has the money to drop thousands of dollars on cars and car parts at any time so you know his bank account has to be sitting pretty. Fast N Loud is in its fifth season and I am not quite certain how much Richard or Andy have been paid per show or episode. It would be very difficult to find this information out as the Discovery Channel keeps it under wraps. I would imagine the true money is made from the exposure Gas Monkey Garage gets from being on the Discovery Channel every Monday night. 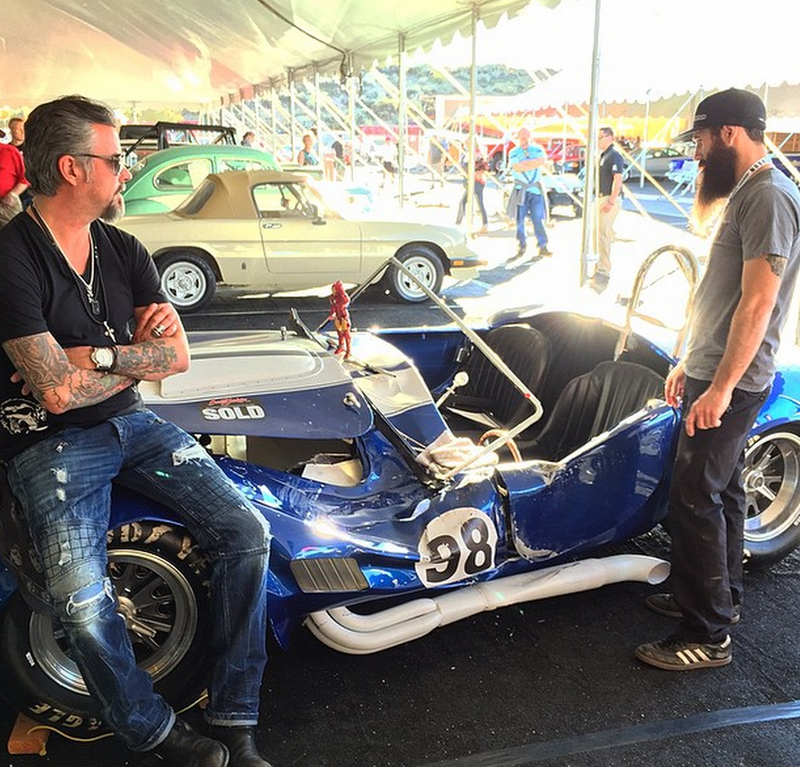 Unlike other hot rod shop owners, Richard Rawlings has experience being behind the wheel of a hot rod in major racing environments. He has won the Gumball 3000 and the Bullrun (twice). He is also the current world record holder in the Cannonball Run. He has covered all 2,811 miles from New York to LA in 31 hours and 59 minutes which averages out to a speed of 87.6 miles per hour. We are not certain how many, if any, speeding tickets he got along the way. Richard Rawlings and Gas Monkey Tequila Company? During the upcoming season of Fast N Loud we learn that Richard Rawlings takes a few financial risks by starting his own tequila company and opening a concert hall. I would imagine both will have the Gas Monkey name on them but I guess we will have to wait and see. I would imagine this would be a very stressful time for Richard as the money it costs to open up a tequila company is not a small amount. This makes me believe he has even more money than I thought. I have not seen a ton of episodes but there are some YouTube videos online where Richard mentions alcohol and tequila. If you know anything more about the tequila company Richard plans on opening feel free to comment below with the information. What Cars Does Richard Rawlings Work On? Over time I will continue to update this part of the resource with the vehicles from all the shows. Is Google Preparing a Panda Algorithm Update for March 2015? | Will Google Photos Be Anything “Like” Instagram? I want some damn gas monkey tequila! Wtf? Can’t find it anywhere! I have a 1992 Chevy. S10 I am looking to sell. Body in excellent shape but needs engine put back together. Motor has 45000 original miles. Thank you for considering looking into this for purchase. I have a show idea for Richard, a Gas Monkey Garage division that customizes hot rods for our injured vets with hand control’s wheel chair access ect, ect. Maybe they had a car at home before they lefty and now they cant use it or maybe they dreamed of having one someday before they were injured. Im sure we could find enough sponsors to think they deserve it. I live the sgow and have seen every episode. I do thunk that it would be a good look for ol Ricardo to guve back by modifying some cars for the wounded vets and so forth. I live the guy but he comes off very “Green” ( greedy). Richard , was at a long time friends garage yesterday getting an oil change. I know the caddy you did was a tough road for you but it was sweet as hell. Anyhow , this guy was telling me he has a vintage caddy real early model complete stored in a garage. I told him he should contact you and you might be interested but he seemed to think because of your popularity you might just blow it off. From the conversation he was having with this other dude it is a pretty special machine! Being a fan I thought I would shoot you this lead. It’s here in Pennsylvania. If you are interested shoot me an email and I will hook you up with the guys number. If you cut a deal my take is going to be major. Let me buy you a couple cold ones and I get a lg Gas Monkey T- shirt. Thanks for an awesome show ! hey guys i love you”re show . its so great.. i always get excited when i watch the show..
he is a self centered puke and needs to be replaced by a real decent person less the ego ?? ?